We believe that exercise is about so much more than physical appearance. Our group reformer classes reflect our deepest intentions to connect your mind to your body and inspire uninhibited personal growth. Each class is designed with function and flow in mind to ensure an effective yet pleasurable experience. Groups are small and allow our incredibly creative, knowledgable instructors to tailor each workout to suit your needs, ensuring safety and success. Our top of the line Pilates equipment is utilized to increase strength, improve flexibility and promote mental clarity and body awareness. Wilde Pilates is an uplifting and encouraging space; we are here to facilitate your personal journey in enlightened self-care. Group Class space is limited. Please be sure to reserve your space prior to arriving at the studio. We understand that trying something new can be intimidating. Our introductory class is designed to be non-judgemental, clear in instruction, fun and uplifting. Pilates, when done with quality of movement and precision is effective in building long lean muscle, increasing flexibility, improving mental clarity and boosting your mood. You'll leave this class feeling refreshed, empowered and open to whatever the day brings. In this satisfying class, our highly educated, intuitive instructors dive into the rich Pilates repertoire to provide a balanced challenge for beginner, intermediate and advanced participants at once. Expect a full body workout that allows you to work at your own pace and inspires personal growth and improvement. Each session is unique and created specifically for the individuals present. *pre-requisite: Reformer 101 or previous reformer Pilates experience. This class is ideal for anyone looking to reset or dive deeper into their mind-body connection. This gentle take on Pilates is perfect for anyone with previous injuries or special conditions that may require a bit more attention to detail. Perfect for those looking for a higher intensity challenge. If your goal is weight-loss or cardiovascular conditioning, this class is ideal for you. Breathe through high intensity intervals, while your joints and spine remains decompressed and safe. finish each session with a deep stretch and divine myofascial release (think foam roller). More and more athletes have been touting the benefits of Reformer Pilates as part of their cross-training regimen. 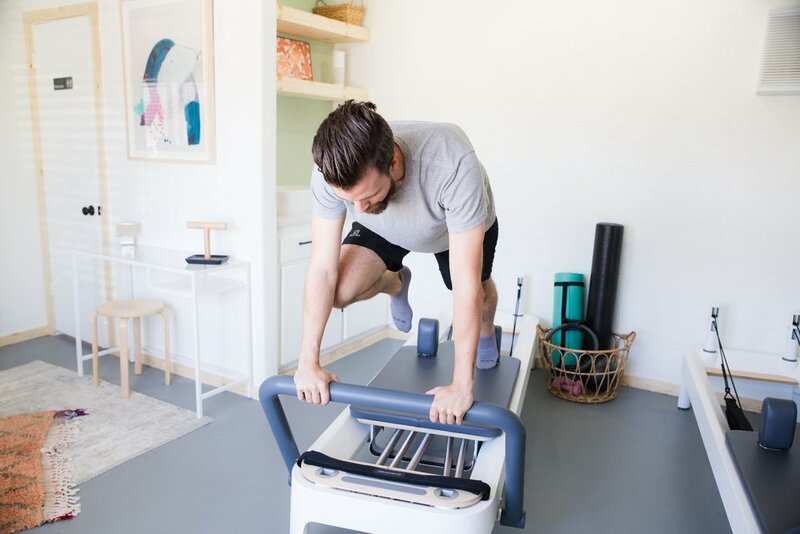 Pilates is known for improving core strength and balance, but did you know that the increased flexibility and strength gained can also make tall moves, high steps, and rock-overs more accessible? Pilates can help keep your overworked joints healthy and strong. Muscles imbalance and lack of flexibility are common culprits responsible for climber injuries to the shoulders and elbows. The harder you climb, the greater the stress on your body and the more at risk you become for injury. Pilates may just be the missing link in your training. This class utilizes the reformer, massage balls, and foam rollers for self myofascial release. Myofascial Release is a safe and very effective hands-on technique that involves applying gentle sustained pressure into the Myofascial connective tissue restrictions to eliminate pain and restore motion. This session is more like a massage than it is a workout. Your body will thank you.